Cleanroom hutches are the optimal solution for the controlled inward and outward transfer of products and materials between rooms of different purity class. 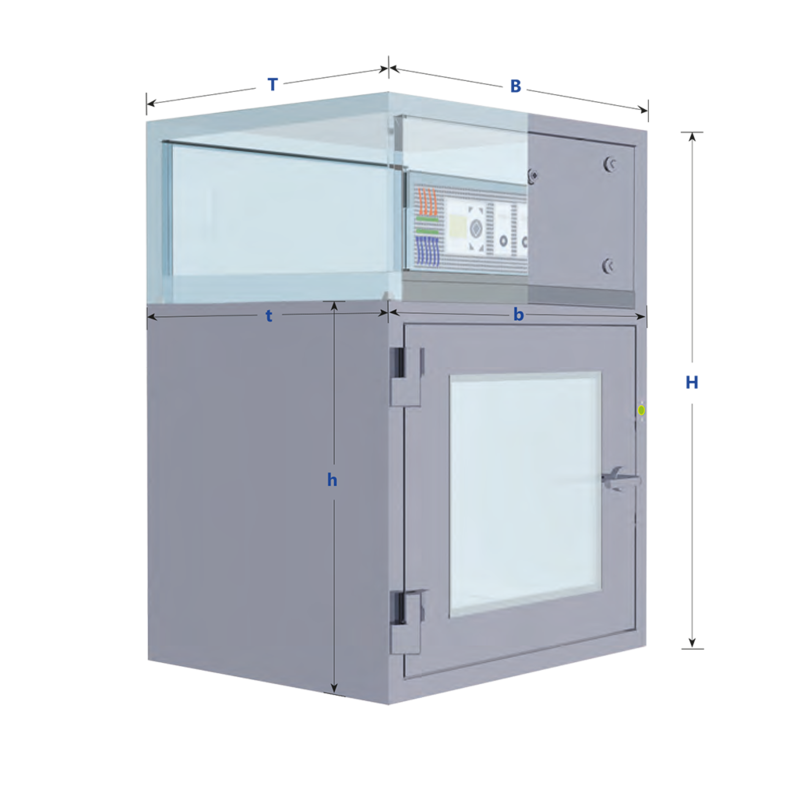 Cleanroom hutches are the optimal solution for the controlled inward and outward transfer of products and materials between rooms of different purity class. Active ventilated airlocks function the same way as partially active versions: according to the principle of low-turbulence displacement flow with vertical air flow. The purity class of the hutches is depending on the purity of the adjoining rooms whereas the purity class 5 according to DIN EN ISO 14644 or purity class A/B according EG-GMP-Guideline is achievable. As only one door can be opened at a time, contamination is automatically prevented: the entry of airborne particles to the pure area is reduced at a minimum number. A subsequent installation in different types of walls is possible for every hutch. 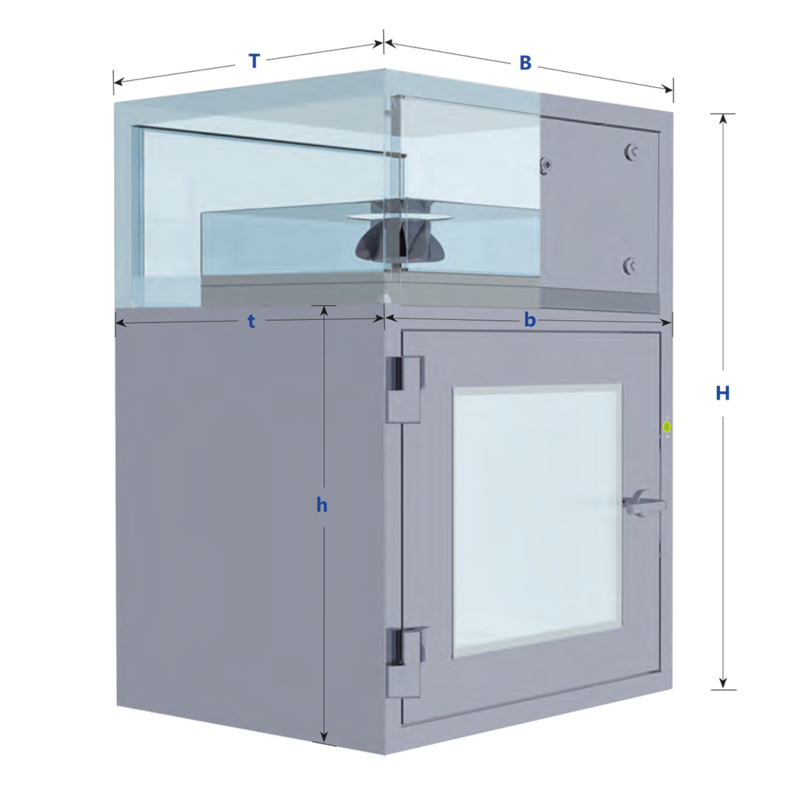 Thanks to the integrated blower with a class H14 particulate filter, the active material hatch operates completely autonomously for any ventilation system in the cleanroom. 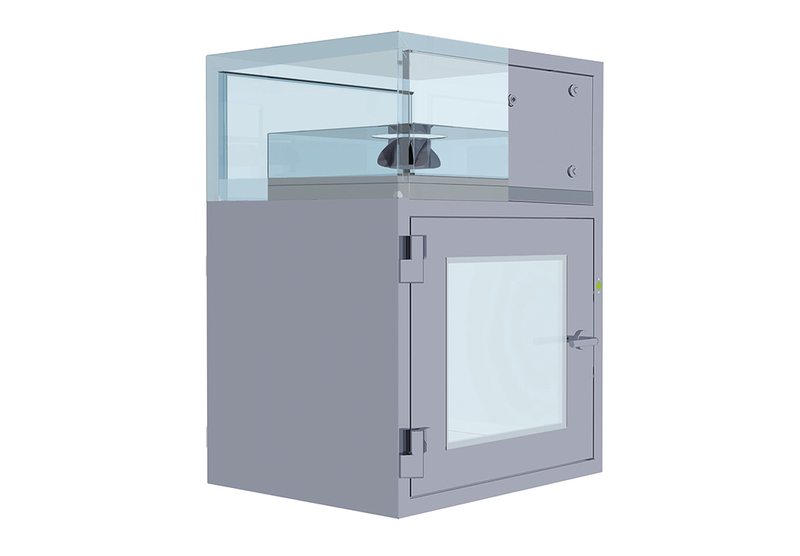 With an integrated own fan and installed class H14 HEPA filter, the active material lock works fully autonomously from the ventilation system of the cleanroom. The material lock works according to the principle of lowturbulence displacement flow with vertical air flow. The purity class is depending on the adjoining rooms. Purity class 5 according to DIN EN ISO 14644, corresponding to purity class A/B as per EC GMP Guidelines, Annex 1 can be achieved. 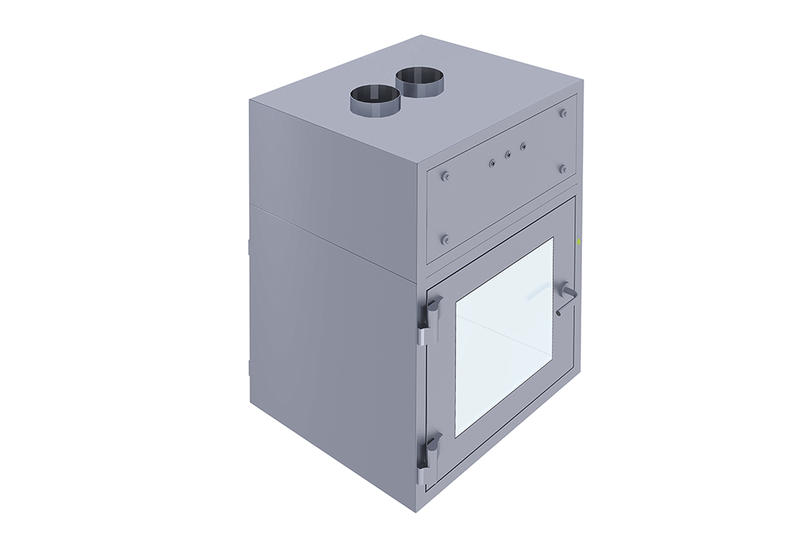 The semi-active material pass boxes is equipped with an HEPA filter of class H14 and is supplied with connection pieces for the supply and exhaust air. 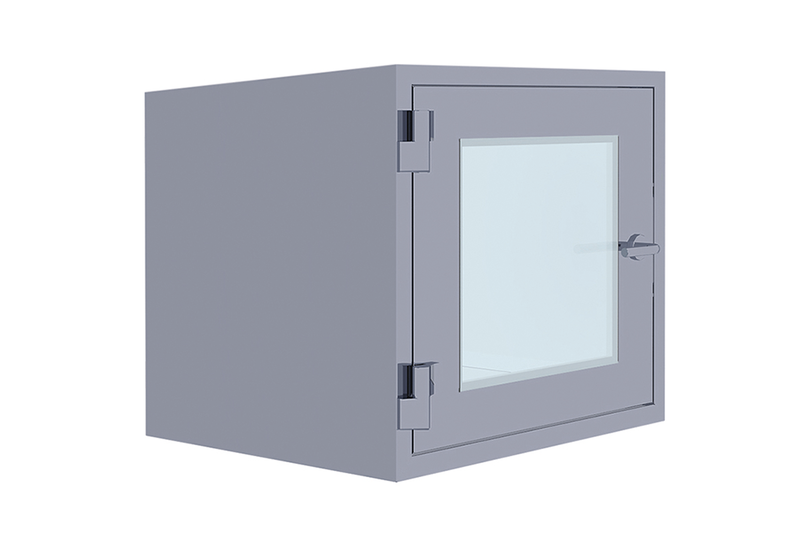 This means that this type of air lock can be connected to an existing ventilation system. The material lock works according to the principle of lowturbulence displacement flow with vertical air flow. The purity class is depending on the adjoining rooms. Purity class 5 according to DIN EN ISO 14644, corresponding to purity class A/B as per EC GMP Guidelines, Annex 1 can be achieved. with electrical door locking, without ventilation. 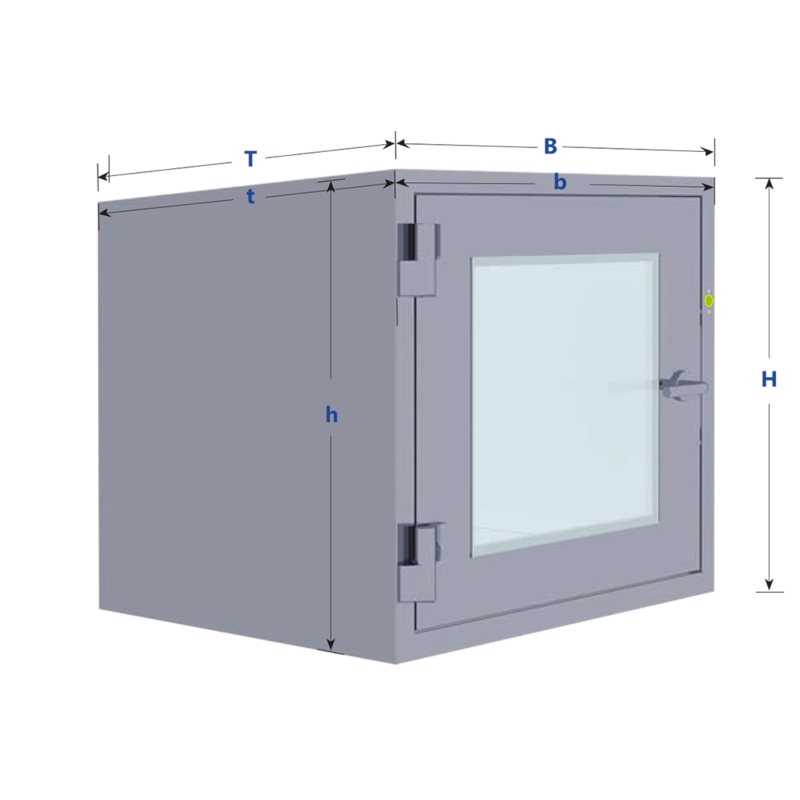 The passive cleanroom air locks have electrically interlocked doors that reduce the risk of contamination (particle entry) to a minimum. There is no additional ventilation of the interior space. The hinged doors mounted on both sides are partially glazed and fitted with flush-mounted safety glass panes. 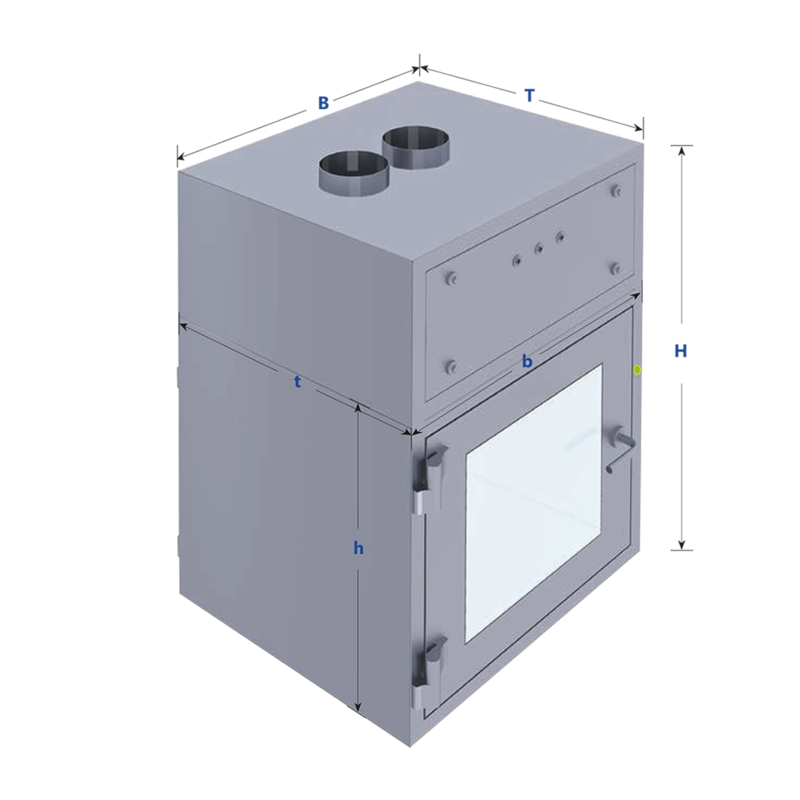 The passive material hatches are equipped with a mechanical lock which prevents the simultaneous opening of both doors. This additionally reduces the particle entry. There is no additional ventilation of the interior space. The passive hatch requires no electrical connection. 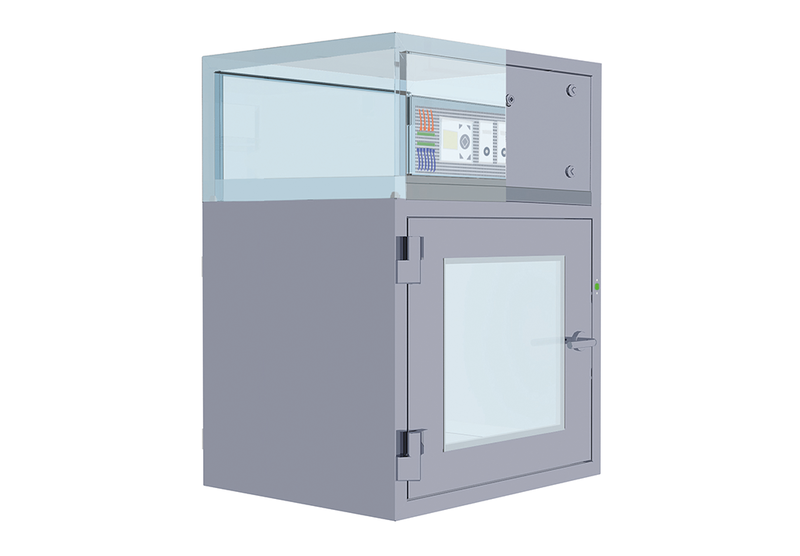 You want further information about Cleanroom Air Locks from bc-technology?